The Morane-Saulnier Type N was followed into service by two larger, more powerful and better-armed variants, the Type LA and Type P. The latter was the more widely used of the two, being adopted by both the French and British. The Type N was by no means as successful. Of advanced design, with very clean lines, its high landing speed and extremely sensitive controls made it unpopular with all but the most experienced pilots, and only 49 were built. 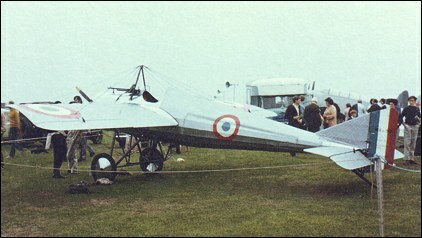 Designated MS.5C.1 in French service, the type was also used by the RFC, in which it was known as the 'Bullet'.